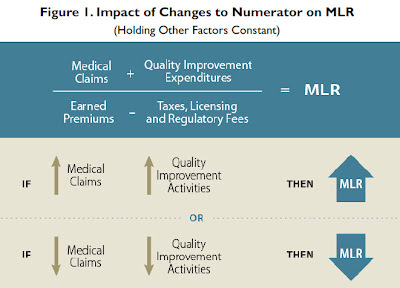 Previous blog entries (listed below) introduced the Medical Loss Ratio (MLR) and it's use (or abuse) in the Affordable Care Act (P.L. 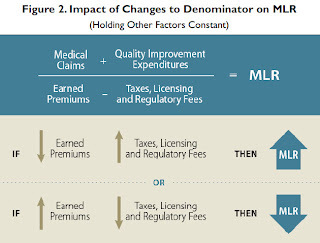 111-148, as amended)... Medical Loss Ratio Requirements Under the Patient Protection and Affordable Care Act (ACA): Issues for Congress (a 21-page CRS PDF) provides an updated and in-depth look look at the MLR - its various components and how they inter-relate; the calculation of the MLR; its reporting requirements; temporary waivers to the rules that have been approved for various states; the rebate requirement; and finally the issues of brokers' commissions, high deductible plans, and the MLR for non-profit insurers... 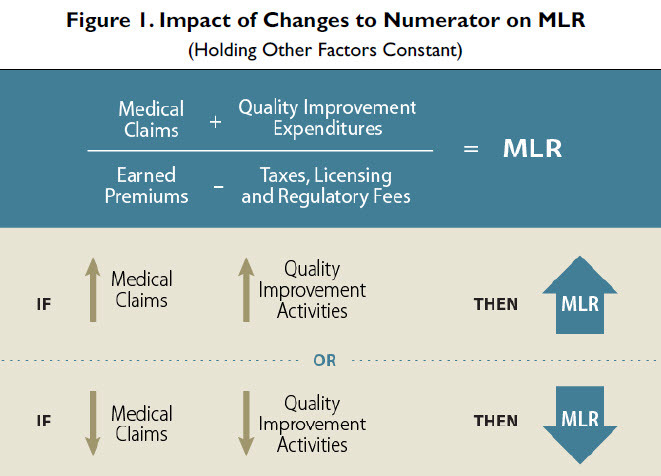 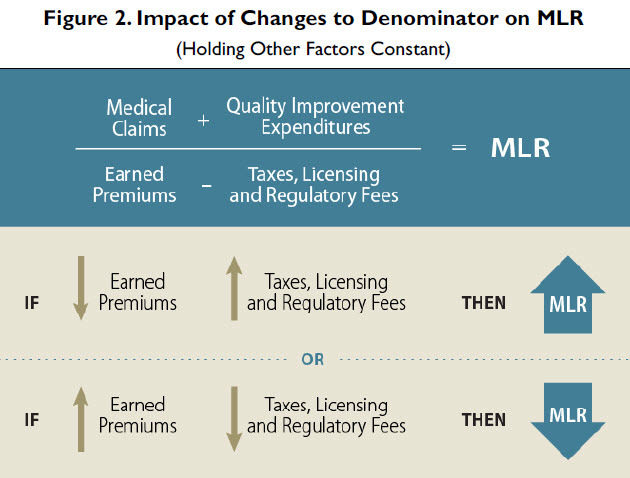 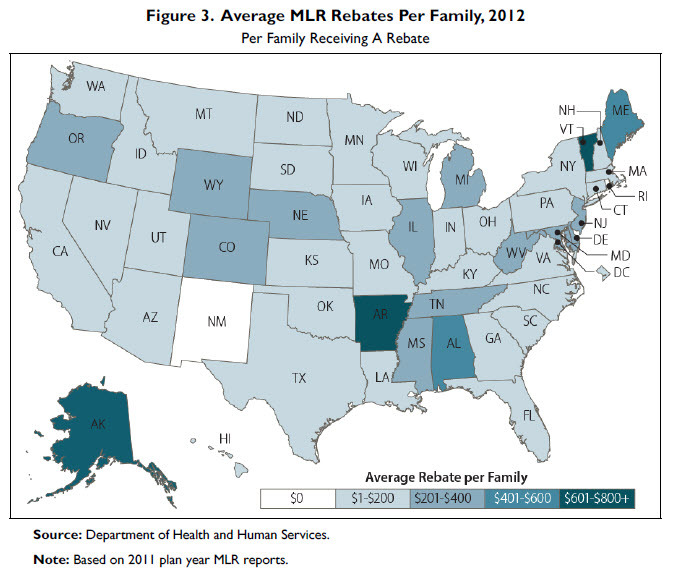 In short, all you ever wanted to know about the MLR but were afraid to ask! In search of a problem?